Zoe Sugg is an English fashion and beauty vlogger and Internet personality. She is best known for her Zoella channel on Youtube., which attracts millions of subscribers. She has won numerous blogging honors, including Cosmopolitan Beauty Blog and Vlogger Awards, a BBC Radio 1 Teen Award, a Nickelodeon Kids' Choice Award, and a Teen Choice Award. 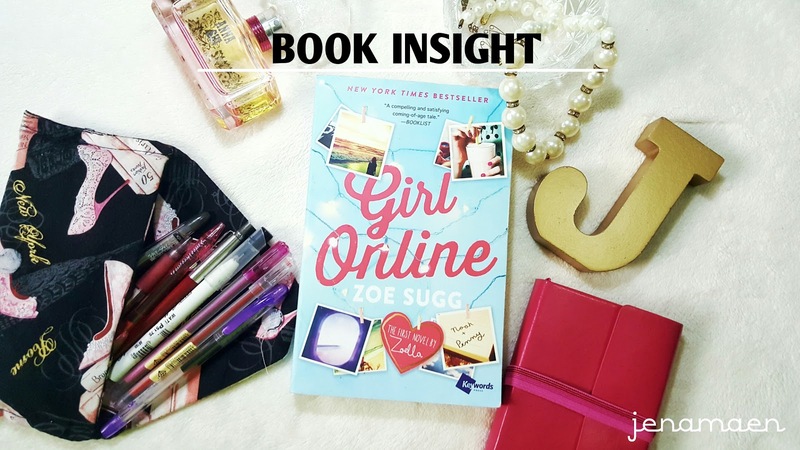 Girl Online is her first novel. Girl Online: On Tour is her next novel. Seriously?? Has anyone in the Youtube world who hasn't heard of Zoella and her cute English accent?? No way you couldn't find her adorable!! I'm not one to buy things because I am a fan of it. I buy things out of pure curiosity. And its not any different when I bought Girl Online from Fully Booked awhile back. For one thing, I don't really regret buying books with my own money because most of the time I end up liking them anyway, and besides the cover photo is cute and who wouldn't like that? So, Girl Online,. what could I say? Not to give any spoilers so I would only say this - its really a page-turner, easy to read, coming-of-age, tech-based chic lit. If you're into that, then grab this book. I know Zoe through her Youtube videos for quite awhile now. So getting into her mind through this fictional book also gives me an insight of what life must be like to a teenager coming into good terms in becoming famous online. She speaks for all those girls out there who wants to be on the brink of becoming an internet-sensation while giving all of us a glimpse into the mind of youngsters fighting the negative effects of cyber-bullying. I, for one, got really intrigued. Because for one thing, I could totally relate to that part where hiding my identity online is crucial to my own privacy while battling the risk of becoming known to the real world is a threat to my real life. You know what I mean right? Like revealing to people you know that you wrote something funny or terrible about them? It's kinda embarrassing, especially if you're doing it for the first time. Needless to say, for me, she has successfully conveyed the feeling of what it would be like to be tossed into the spotlight in the shallow and cruel internet world when all you intended for it is the sense of safety in anonymity that you can never have in reality when speaking/writing out your own voice. A true evidence of how technology changed the perspective of youngsters and even all individuals nowadays - this book makes us understand it even more. When I finished reading this book, I thought to myself, "Wow. I guess everyone who became famous online went through the same thing." Probably most of them are shy, introvert individuals who secretly have that desire to be known or somewhat famous for who they really are. This is one of the books that shows us how internet personalities gathered up the courage and strength to face the risk of being real-life famous behind the fact that used to be unknown to the world. For me, it's not just a simple easy to read chic lit but its a strong voice for those wishing to be known through the world-wide-web.